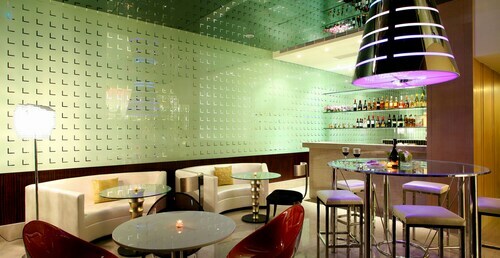 Situated on a lake, this luxury hotel is steps from Ita Thao Shopping Street and Sun Moon Lake. Yidashao Pier and Sun Moon Lake Ropeway are also within 15 minutes. Situated in the business district, this historic hotel is within a 5-minute walk of Shueishe Visitors Center and Sun Moon Lake. Shueishe Pier and Mei He Garden are also within 5 minutes. 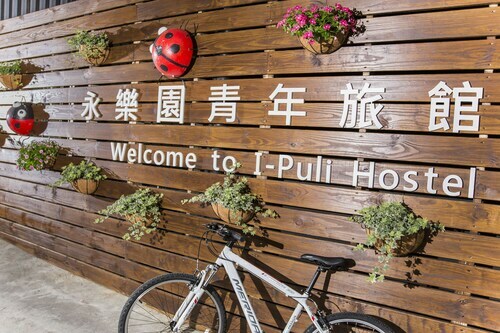 Located in the heart of Puli, this hotel is within 1 mi (2 km) of Puli Brewery Factory, Kokomu, and Geographic Center of Taiwan. Paper Dome and Guanyin Waterfall are also within 6 mi (10 km). Situated in Puli, this guesthouse is within a 15-minute walk of Kokomu and Puli Town Night Market. Puli Brewery Factory and CharCoal Carving Art Museum are also within 1 mi (2 km). 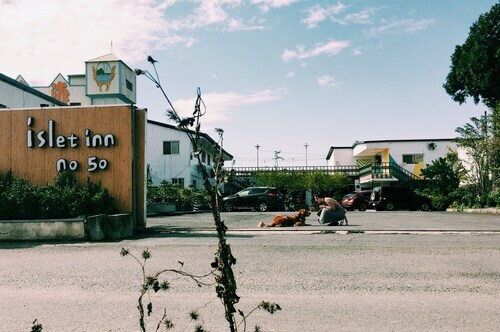 This family-friendly Yuchi bed & breakfast is located in the mountains, within 2 mi (3 km) of Taiwan Adventist College and Ming Temple. Sun Moon Lake and Formosan Aboriginal Culture Village are also within 3 mi (5 km). When you’re craving the sounds, sights, and smells of a new destination, it’s time to go on an adventure. 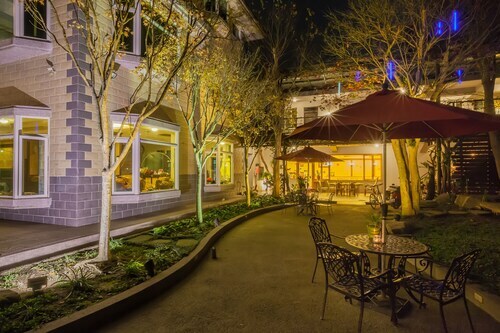 Book one of the best hotels in Nantou County and get ready to explore. Venture out solo, invite your honey along, or instill some wanderlust in your kids as you dabble in the culture. During your visit, sample some of the region’s most popular delicacies, tour the famous attractions, and speak with the locals to discover the most coveted spots around. After hiking around the scenery and visiting the nearby landmarks, rest up at one of the nearby Nantou County hotels. Here at Travelocity, we’re ready to match you up with the perfect lodging for your next sojourn. Whether you’re in the mood for a place with artsy décor or room service around the clock, we’ve got just the hotel for you. Sort through our selection of cheap hotels in Nantou County to find one that suits all your preferences and price range. What’s more, you can keep your travels within your budget by booking your hotel and flight at the same time to save up to $537. With a wide range of hotels to choose from and unbeatable deals, there’s no excuse not to go out and smell the roses in a new city today. How Much is a Hotel Room in Nantou County? Hotels in Nantou County start at $25 per night. Prices and availability subject to change. Additional terms may apply. I have travelled all over the world and this hotel is one of the best. 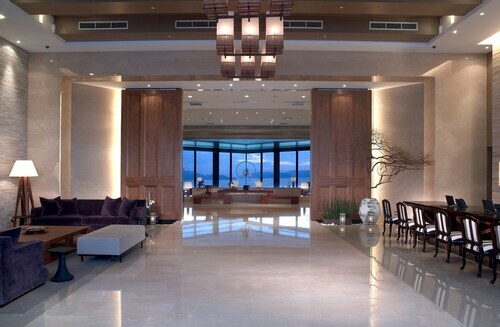 The hotel is clean and beautiful. Hotel service is excellent. The lake view is breath taking. Hotel also has game room, kids play ground and water world. You have to visit their water world. It is the best in the world. if you plan to visit Sun Moon lake with little children, this hotel is the best choice. 1.0 Cream For The Coffee, Please. Right off of Rte. 95. Not many places to find dinner after 7:00 P.M.My wife was awoken by a bug in her bed. I WOULD NOT make this up! It would be libelous. True!!! There wasn't any cream to go with the coffee at the check in/out desk. Got a free shower during checkout. Worker was pressure washing the bricks, walkway......Ah refreshing in the A.M. I'd prefere the outside pool.